Hong Kong is a complex destination to visit. From beautiful architectural elements to be discovered to amazing food, from nature with places to admire splendid fauna and flora, to shopping areas and a culture that’s worthy to be discovered, Hong Kong has it all. 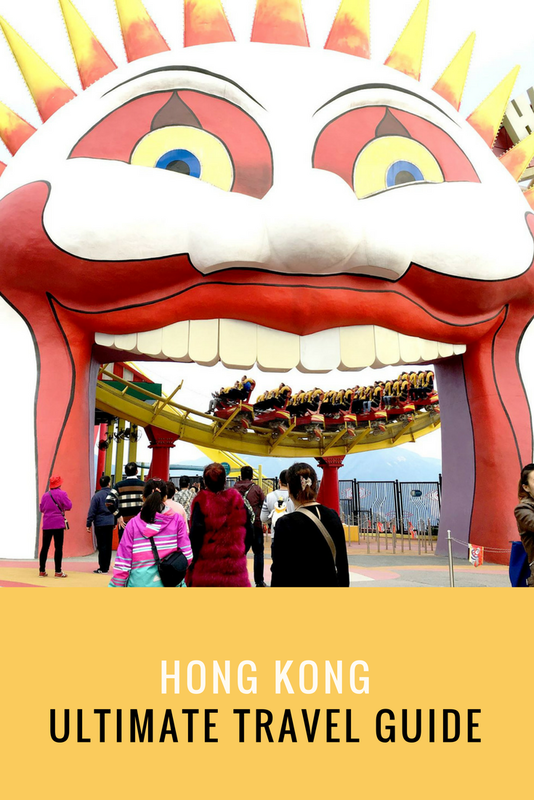 Here is a local’s guide to Hong Kong with famous and off the beaten path attractions, places to eat, and tips. 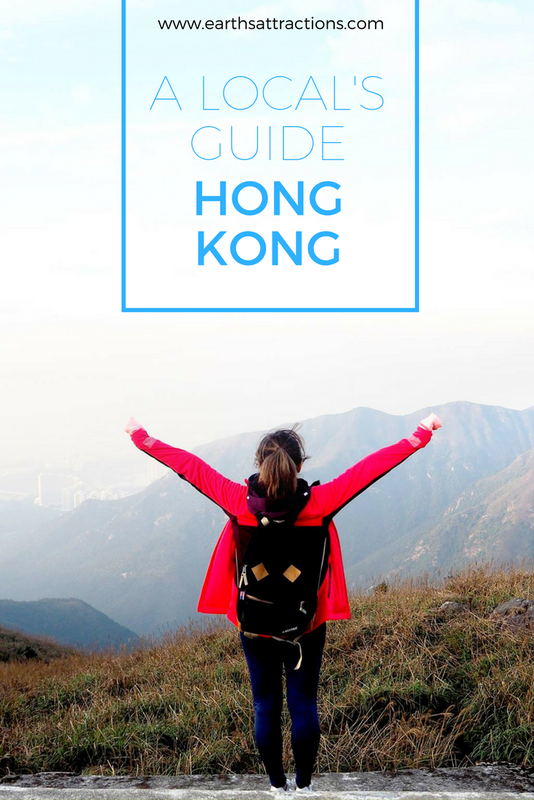 This ultimate Hong Kong guide will help you better plan your visit here – and was written by Katie from Kaleidoscope Living. Hong Kong – means “The Fragrant Harbor” in Chinese. Hong Kong became a British colony after the First Opium War, and was handed back to China in 1997. Hong Kong is now a special administrative region (SAR) of China. Hong Kong is one of the world’s most significant financial centers, attracting people all over the world to come here. With a total land area of 427 sq mi and a population of 7.3 million of various nationalities, it is one of the world’s most densely populate sovereign state of territory. Although Hong Kong is a very small city, but what it has on offer will surprise you. From the iconic skyline of high-rise buildings, to the lush natural habitat for rare birds; from high end labels to off-the-rack Chinese gowns; from International gastronomy dining experience to local street food markets, you will always be able to find something that suit your taste. If there is only one thing you can do in Hong Kong, go to The Peak. 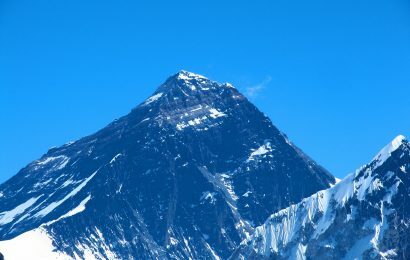 If you have many things to do here, still go to The Peak. The highest point on Hong Kong Island, where you get to enjoy one of the world’s most spectacular night view! Remember to take the Peak Tram to go up the Peak – Hong Kong Island’s skyscrapers slide past your window at what appear to be impossible angles as you make the ascent to The Peak on the city’s historic, funicular railway. 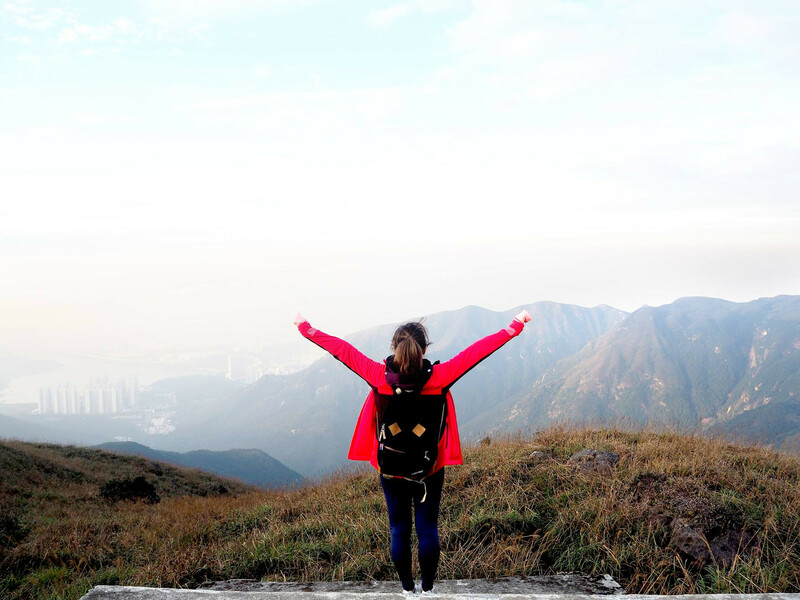 Victoria Peak is also one of the best hikes in the world! Enjoy the stunning panoramic view of the Hong Kong International Airport, verdant, mountainous terrain of Lantau Island, Tian Tan Buddha, and the 360 degree view of Ngong Ping Plateau over this joyful 25 minutes cable car ride. If you are into excitements, be sure to choose the crystal cabin equipped with a glass bottom! Ocean Park is a marine mammal park and theme park in one. The park is famous for its scenic cable car ride, the cute pandas, and of course the crazy exciting rides. Situated on a summit in Wong Chuk Hang area, the park offers a stunning view of Hong Kong. 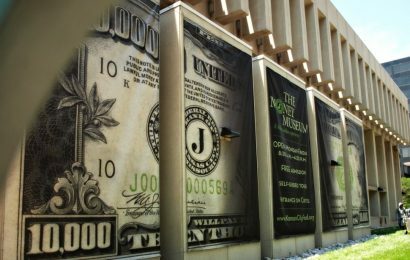 Whether you are looking for a family day out, or a fun hang out with friends, this park has it all for you. Don’t get fooled by its name, the ladies market is a place for the whole family. 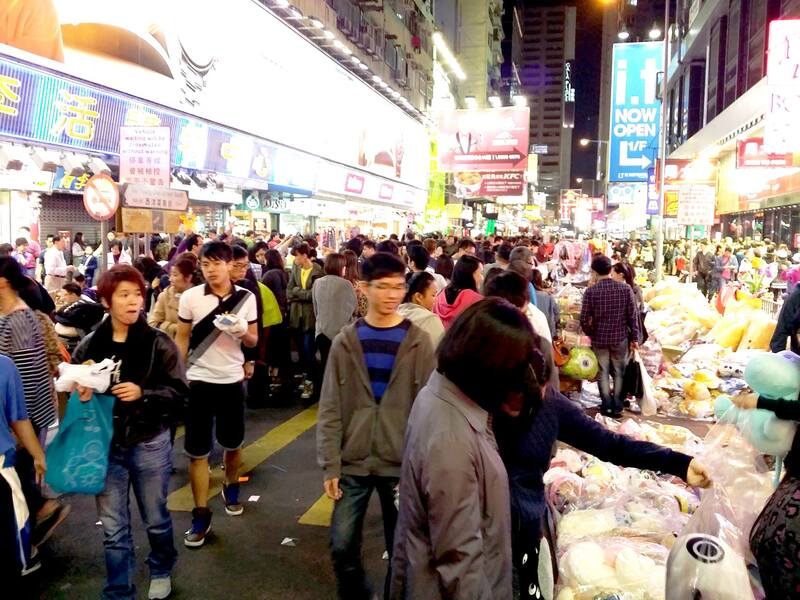 It’s one of HK’s most popular market for inexpensive bargain-priced clothes, accessories, electronic gadgets, toys, and souvenirs. Although this place is frequented by tourists, this has a very “local” atmosphere to it. There are also food stalls on both sides of the street if you want to try out some local delicacy. The two streets parallel to the left and right are also worth going to, one is the sneaker street where the whole street is filled with sneakers stores, while the other street is a walking street on the weekends, where you will see lots of people performing street art and little street hawkers selling just about anything. 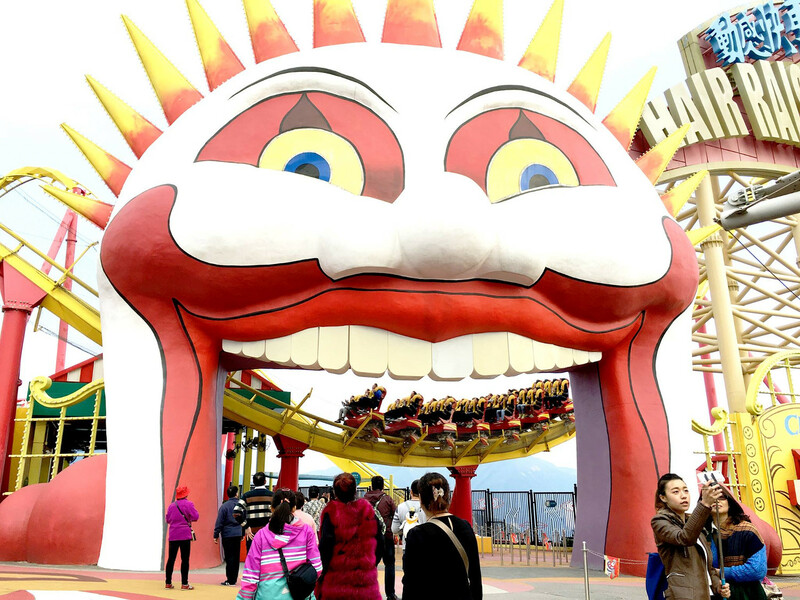 It’s one of the busiest temple in Hong Kong, where its claim to “make every wish comes true upon request” might have something to do with its popularity. The temple is dedicated to the famous monk of yore – Wong Tai Sin, and worshipers pray for good fortune through offering, divine guidance and fortune telling. Even if you are not a religious person, the colorful pillars, roofs, and the craftsmanship of the lattice works in the temple will simple amaze you! Tai O – historical home to the Tanka boat people, where their life is all about the sea. Houses are built on stilts above the water, and many residents still dry seafood on traditional straw mats and make the village’s celebrated shrimp paste! This place is sometimes called the “Venice of Hong Kong” due to the large numbers of sampans (flat bottomed Chinese wooden boat) in the small harbour. 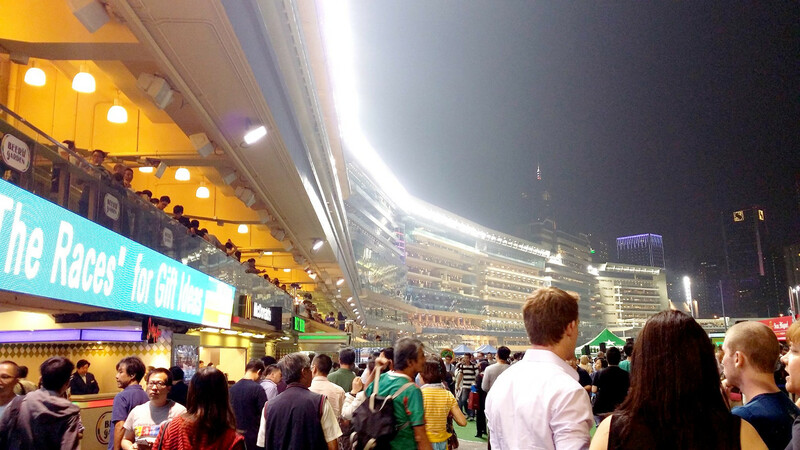 A night out at the race is one of the quintessential Hong Kong things to do, especially if you happen to be around during one of the Happy Wednesday evening races here. The punters pack into the stands and trackside, cheering, drinking and eating, and the atmosphere is epic! The Mai Po Nature Reserve is a protected area in the New Territories composed of mudflats, ponds, wetlands and mangroves that offer a rich environment for all kinds of wildlife, specially our resident and migratory birds – each winter, around 90,000 migratory birds take refuge in the marshes and mudflats of this internationally acclaimed reserve, including species that are of global conservation concern. Please note as the area is restricted, visitors are advised to join guided tours ran by the WWF, and or other organizations. Sunset Peak is the third highest mountain in Hong Kong at an altitude of 869m. Located on Langau Island, this place is one of the most popular hike famous for its sunset. Each year during Autumn time, the whole mountain is covered with lovely miscanthus grass, which is very pretty. This hike is not an easy hike, involving lots of high steps and rocky roads, so be well prepared before you take on the journey. There are a few routes up to the mountain, highly recommend you to google the route beforehand. 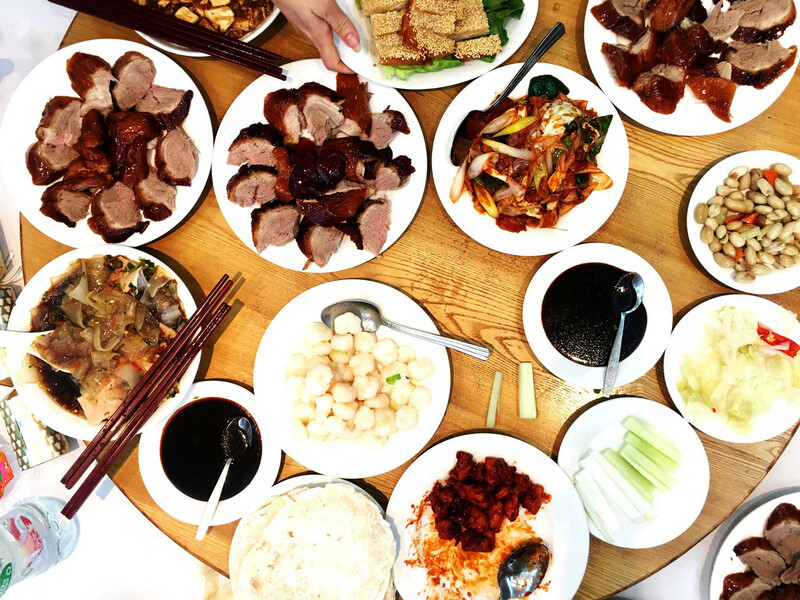 If you are a Peking duck lover, this is surely a restaurant you cannot miss! Spring Deer is the go-to restaurant for Northern Chinese food. The chefs mostly come from Northern China and many of them escaped during wartime to Hong Kong, bringing with them authentic Beijing cuisine without a trace of pretension. Do bare in mind that the most of the staffs here are elderly, so sometimes they could appear a bit slow, but they are genuinely nice, and are more than happy to give you food recommendations. Make sure to book before your visit, as the restaurant are very popular with large groups, so there may be chances you will have to wait for a long time without a booking. You cannot say you have visited Hong Kong without going having dim sim. If you’re going to have dim sum only once during your stay in Hong Kong, then Lin Heung Tea House is the place! This place has been around since 1928, and is famous for its super cramped space, impossibly long queues, and the intimidating waiters greet people at the entrance. Sounds fun right? Don’t let it scared you, because once you taken a bite into their dim sim, you know it’s all worth it! Plus, the decoration of the place still resembles of how it was like back in the 1920’s, it’s like you have taken a ride on the time machine! Definitely worth it! Sai Kung is known as ‘Hong Kong’s back garden’ because of the beautiful hiking trails and beaches in this area. The village of Sai Kung is also noted locally for its seafood restaurants, many of which congregate on the seafront, known as ‘Seafood Street’. Diners can either purchase fresh seafood directly off from the fishermen off their junks along the pier side, and then bring them to the nearby restaurants to turn them into delicious dishes, or seafood could be ordered directly at the restaurants. Be sure to ask the price clearly before you decided to sit down to avoid any un-necessary confusion. Hong Kong street food and Dai Pai Dongs are legendary. Dai Pai Dongs are the bustling street food stalls that are found throughout all of Hong Kong’s neighborhoods. Dai Pai Dongs and the street food hawkers are one of Hong Kong’s best food experiences, at a low cost, and it’s the best way to eat like a local, from seafood, to roast meat, to stir fries, to clay pot rice, to Hong Kong style kebabs, and desserts, you name it, you get it! One of the most popular place for street food and Dai Pai Dongs is at Temple Street, where the food stalls are right next to the local street market. Taxi is quite cheap in Hong Kong, and a tip is to make sure the driver is charging you by the meter, as we do occasionally get the complaints from traveler that they are being over charged. If you are going to be travelling mainly by public transport, it is highly recommended to get the “octopus card”, which is a travel card that you could use for all public transport. The deposit for the card is HKD$50, and could be refunded when you leave Hong Kong at any customer services in the subway station. 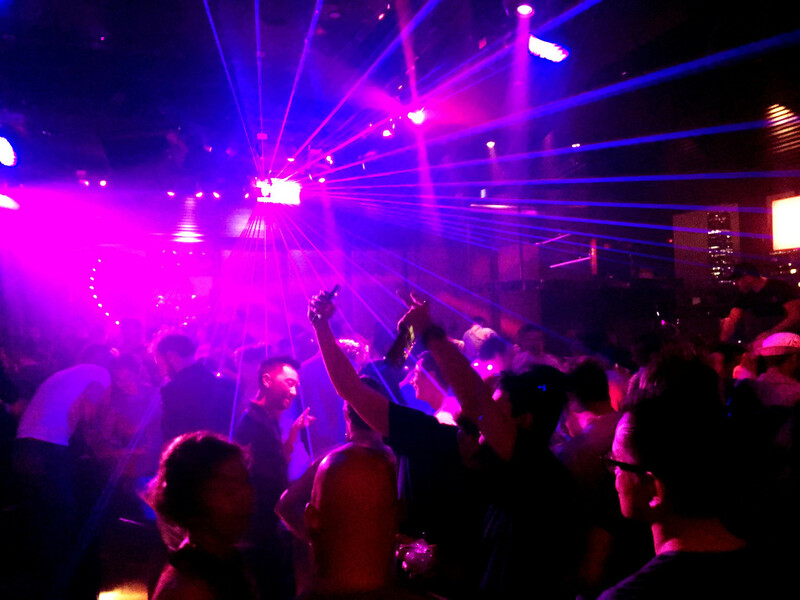 If you are a party go-er, then be sure to check out the partying scene in the famous Lan Kwai Fong on the Hong Kong Island. There are hundreds of bars in the area, and surely you will find one that fits your mood. Ladies nights are usually on Wednesday and Thursday depending on the bars/clubs, and it’s the busiest during the weekends. New Year. 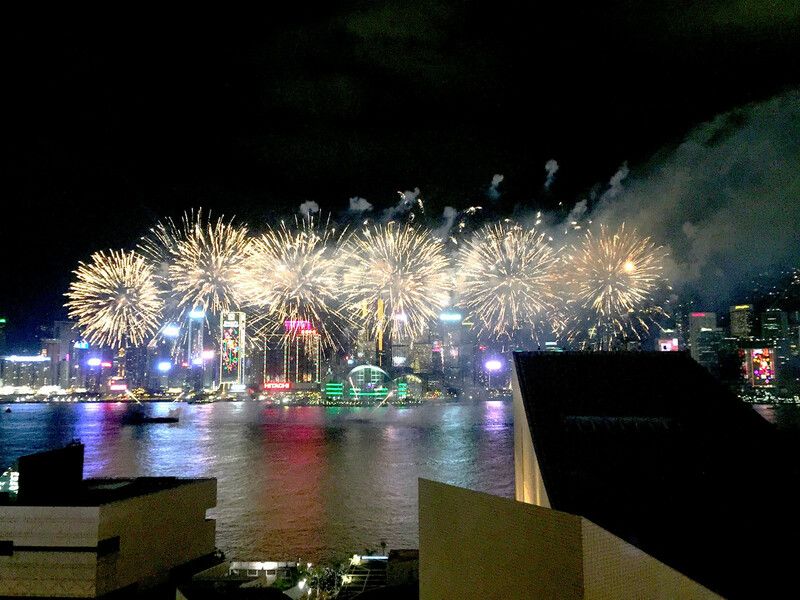 If you are in Hong Kong around that time of the year, be sure to check it out! Hong Kong is such a diverse city, whether you are on a business trip here, or travelling with family, or by yourself, there will always be something that fit your schedule and interest. About the author: “Travel is life, life of a traveler” – My name is Katie, born in Hong Kong, raised up in Australia, and studied in Japan. I’m currently working in the Retail Visual Merchandising field, and I absolutely love my job and my team. Since I travel a lot due to work, I want to use this to my advantage to see the world. I’d love to share with everyone about the things I see through my perspective. “The world is a book and those who do not travel read only one page” – go see the world and explore any opportunities while you have the chance. Follow her on Facebook too. 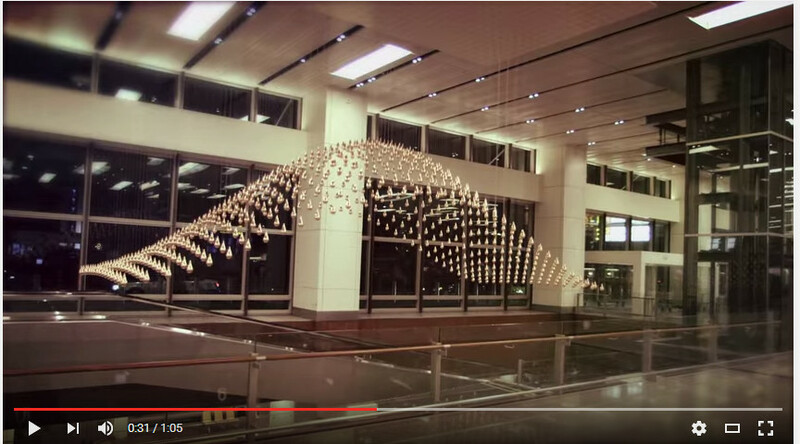 Love this post and its very timely as we are currently planning a trip to Hong Kong in June. I’ve saved and shared this post and will be referring back to it, so thank you. Great post. We haven’t spent long enough in Hong Kong to really enjoy it so we’ll need to plan another trip in the future to fit all those attractions in! 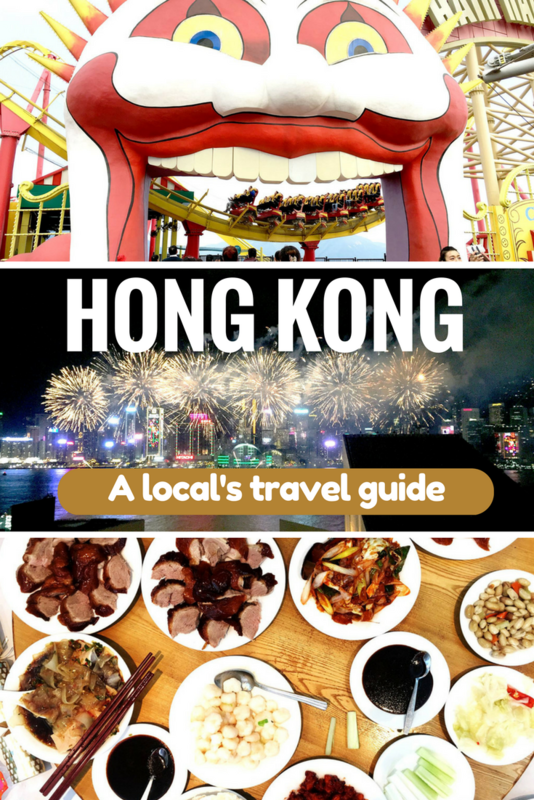 Excellent travel guide on Hongkong. It’s my favorite destination and now I learned several things about the attractions, food and others there. Well written. I recommend and share this post with my social media followers.